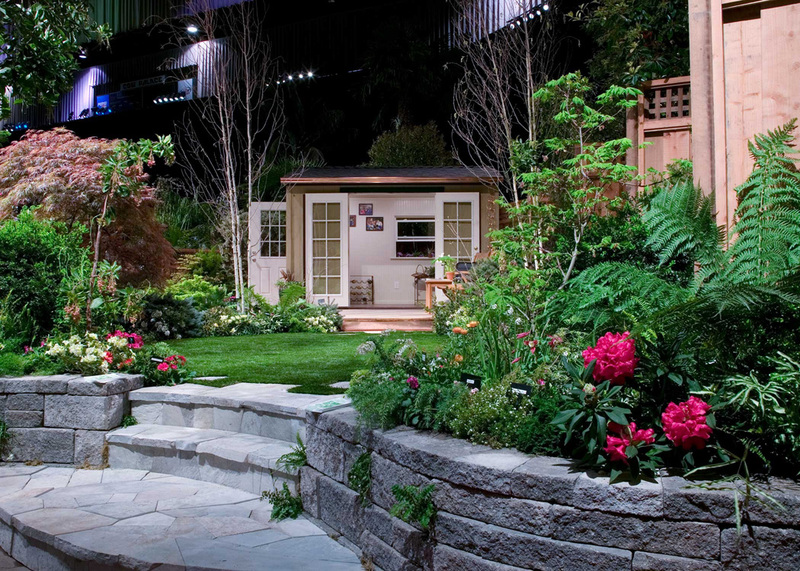 Each year there’s a different topic that seems to be on the tip of everyone’s tongue, or at least in many of the seminar applications, the garden creator’s designs, and the exhibitor’s new products. This year it is Small-Space Gardening in all its aspects. Gardening and designing for tiny gardens, narrow side-yards, in containers, on decks, green walls, or just choosing to garden a small portion of your space and let the rest run wild (I call that “creating habitat”). The main attraction is simply beauty in a small space that does not require a huge amount of work or water. Make it, tend it, then sit in it and zone out. But small spaces need some thought and careful planning and that’s what the Show participants will demonstrate this year. This exciting guide layers practical gardening fundamentals with creative solutions that encourage thinking outside the pot. Maybe this means repurposing a shipping pallet to create a colorful vertical garden of nasturtiums and lobelia. Or simply seeing walls, rafters, railings, and everything in between as fair game. You’ll also learn how to tackle unique challenges, like windy conditions when gardening several stories above street level, and how to care for plants and troubleshoot with the best of them. 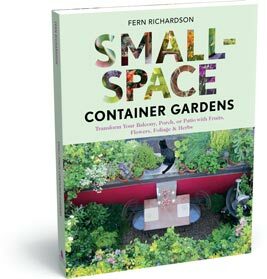 From design basics to essential plant picks, Small-Space Container Gardens ($19.95) proves you don’t need a yard to have a garden. For anyone who wants more green in their life, it’s time to get out there and start growing. 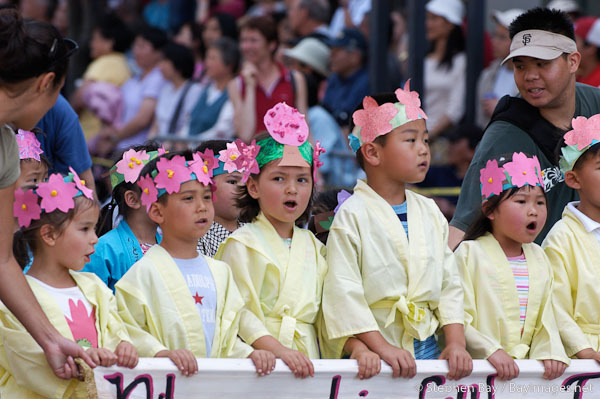 Each year, over 200,000 people attend this dazzling display of Japanese culture and the diversity of the Japanese American Community. There will be food booths, cultural performances, martial arts, live bands, the annual Queen Program, and more. The Grand Parade will be held on April 22, beginning at City Hall and concluding in Japantown. The 2012 Festival will celebrate the 100th year anniversary of the National Cherry Blossom Festival in Washington, D.C. and will also pay tribute to the 100th Infantry Battalion, the 442nd Regimental Combat Team and the Military Intelligence Service comprised of all Japanese American soldiers receiving the Congressional Gold Medal of Honor. The highest civilian honor bestowed by the U. S. Congress. The festival will also recognize the one year anniversary of the Tohoku Region Earthquake and Tsunami. to produce one gallon of fresh juice. one pound of apples in each serving. Sign up now for Apple Blossom Trail Run on several gorgeous courses over private Christmas Tree farms, orchards and vineyards- you’ll get to see views the farmers keep for themselves! The Apple Hill Blossom Trail Run is a very unique trail running experience. Only on this day will you be able to take a scenic journey on this fun, cross country course where you’ll be amazed at the breathtaking views, blooming apple orchards, vineyards, a lush forest and tree farms. Pick up a “starter kit” for the Apple Blossom Recipe Book that last weekend in April. (Keep reading these emails so you’ll know where to find them.) Then travel among the participating farms to collect recipes- family favorites you’ll treasure too. And, when you get done running around, I’ll see you in the garden. Don’t forget to send a note while you’re gone. Tell me you’re having fun. Otherwise I worry.